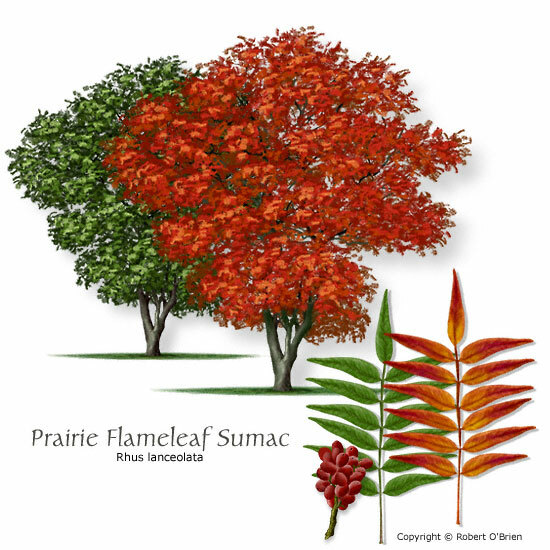 Features: Compound leaves turn bright red in fall; white flower spikes bear red clusters of berries. Comments: Root sprouts and suckers require regular maintenance to keep tree shape. Problems: Thin bark is susceptible to injury; requires pruning to develop one or more trunks.